Join us on 'exercise', as we replicate the tough ‘check-out’ event for the Marine's Challenge. 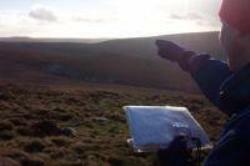 31 miles across the wild terrain of Dartmoor. Starting before sun-up and trekking through the day and into nightfall again—this is a mean challenge, and certainly not for the ‘ramblers’ out there! Striding across the rugged and granite studded wilderness—this is a chance to pit yourself against a true wilderness and the elements. A real team challenge. The only difference between this and the Marine's Challenge event itself is that you won’t be carrying a rifle and almighty 80 litre Bergen. You may avail yourself of the latest lightweight equipment. Meet at Moretonhampstead by 20:00 for event briefing, kit check & early night. Breakfast will be provided on both days, although you will need to assist in cooking duties on Saturday morning! 2 Nights accommodation, 2 Breakfasts, Qualified, Experienced & First-Aid Trained Mountain Leader, Safety Equipment, Transfers on event day. 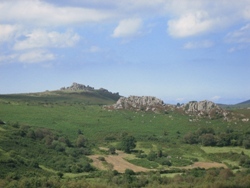 Transport to and from Dartmoor, Lunches & Dinners. Expect variable weather conditions - be prepared physically and mentally for all types of weather that may be thrown at us! Give me Dartmoor every time! Love it!